In the sprucing up the house department, we find my front door…a sad sad place that almost never gets used. • We come in and out of our house via the garage. Who doesn’t? • We don’t entertain often «aside from family» and 9 times out of 10 they use the garage door. So, this wreath is basically for the neighbors driving past (which isn’t many, I live on a court), the mailman and the UPS guy. Work in garter stitch «knit every row» until piece will easily stretch around the wreath form. 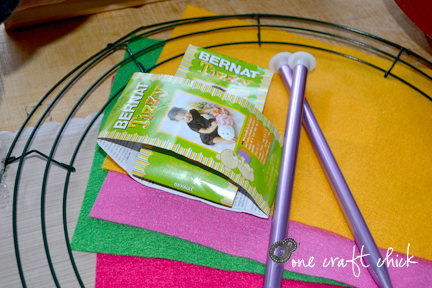 It’s great if you have some left over yarn, but not necessary as long as you have some other scrap yarn for sewing the piece together. 2 | Wrap scarf around the wreath form. You’ll want to make the cast-on and bind-off ends match up or overlap. 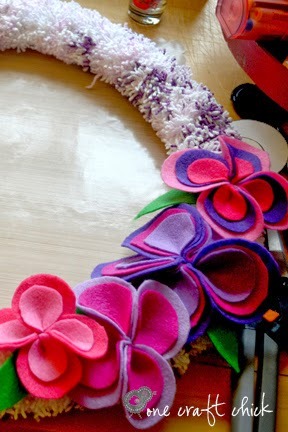 3 | Use a darning needle and any left tail (or yarn scraps) to stitch the two inner edges together around the wreath form in the back. 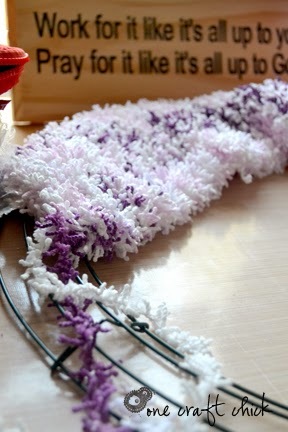 They stitch the bind off and cast-on edges together…this doesn’t have to look perfect, you can hide it behind the flowers you make (see step 4) or with whatever you use to hang your wreath. 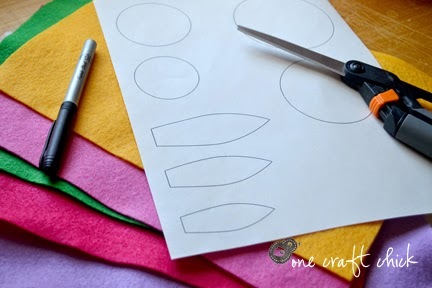 4 | Now it’s time to make some flowers. If you want you can use this template for the sizes of the flower pedals. I’m not a free-form kinda gal, but if you are—yeah you, I had to have a template. 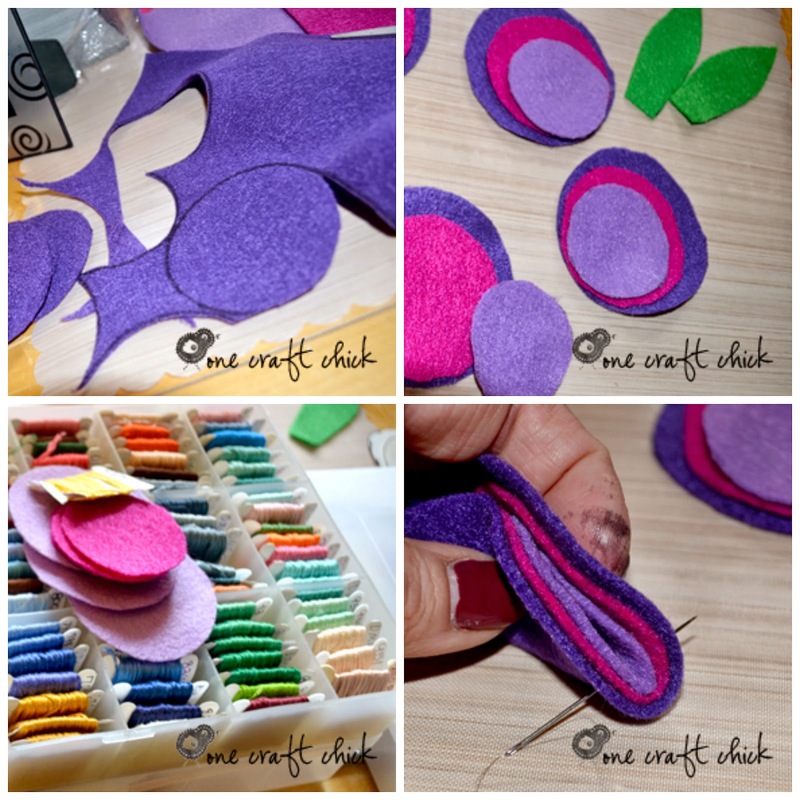 but I found that if I held the felt taut it was easier to cut. I followed Life with Love Bugs tutorial for making my flowers and added some green leaves. I wanted a little green in the mix so I just sewed them on after I had the flower formed. 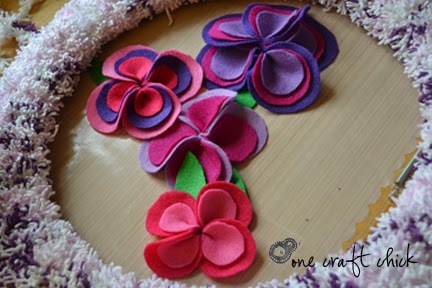 5 | Make as many flowers in different sizes as you’d like. I made 4 flowers. I laid them together as I made them to see how they would look and so I could fill any «perceived» holes in the design. 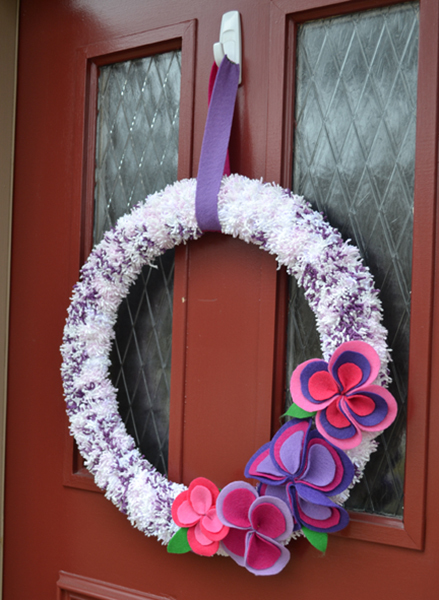 6 | I used my hot glue gun to add the flowers to the wreath. 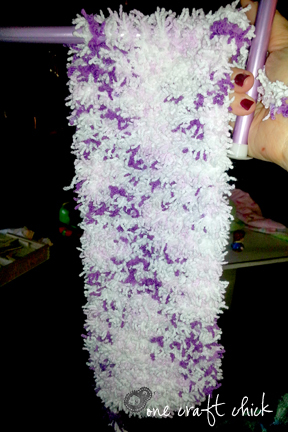 7 | I used two pieces of left-over felt—whip-stitched together—for hanging. But a nice piece of ribbon in a coordinating color would look nice as well. Check out my happy more cheerful, front door.